Stanton sofa in Savvy Sterling cover. Made in Oregon! Stanton double chair in Savvy Sterling cover. Made in Oregon! Stanton ottoman in Savvy Sterling cover. Made in Oregon! Petite swivel chair by Best. Made in USA. Armless accent chair by Stanton. Made in Oregon! Lift top cocktail table by Ashley. Queen comforter set (includes the pillows and shams in photo). Now only $119.99. Queen size comforter set. Includes pillows and shams in photo. Now only $99.99! Bedroom mirror. Can be mounted to wall or to the top of a dresser. Dark Rustic 6-drawer dresser by Ashley. Dark Rustic 2-drawer night stand by Ashley. 5 pc dining set includes table and 4 padded seat side chairs. Carolina Preserves collection by Klaussner. 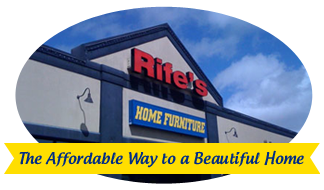 This is an opportunity for you to bring home great discount furniture in Albany, OR. Our quantities on these items are limited and can sell out at any time so be sure to act fast. New clearance furniture items will be posted on a continual basis as soon as they become available. Check back with us often so you don’t miss out on some of the best deals on clearance furniture in the Eugene, Springfield, Albany, Coos Bay, Corvallis, Roseburg, Oregon area.